Hope you are all are well and anxious to see where .tel leads after 13th March, we have already been working behind the scene to make.tel more interactive as well as useable with various templates to choose from in the coming days as the plan to set up this has been taking time but we are sure to offer you the best of service as well as flexibility in pricing to cater to everyone for good. We are thinking of introducing a free version for trail and once you feel it is good since we have server running cost as well as making this software so would appreciate if you could support us it is not expensive as all it starts with less than 10 US$ yr per yr for full hosting as well as choosing premium templates we will be adding more than 5-10 Templates every month. the more domains you add the cheaper it is for you, to price is correctly please let us know what or how many subdomain would you need ? in the mean time, we would be requesting everyone to take backup of their .tel and stay tuned. What kind of templates will you be offering? Directory templates? And what features do they have? hope you are well, happy to see you are here. The template at start with be somewhat similar to .tel but they UI is really great and you will be the best judge to know once it is fully launched the templates we plan are going to be fully similar to the way .tel templates were made but more colourful more useful and customizable depending on your requirement you can have an option to choose the same template for all pages or just one or some more over the new templates we launch we will have various suggestions from people like yourself and what you like we will implement it to cater to everyone for good. i will share some features and give some preview of it now in the next post. Wow happy to see so many votes I am happy to know people are actually liking this and it can mo, I have shared it with mark a bit before posting here so will share it with you guys as well to give you a better understanding of this. This is the best news for .tel I have seen during the last 8 years. Finally, finally, somebody understands what the community is looking for. 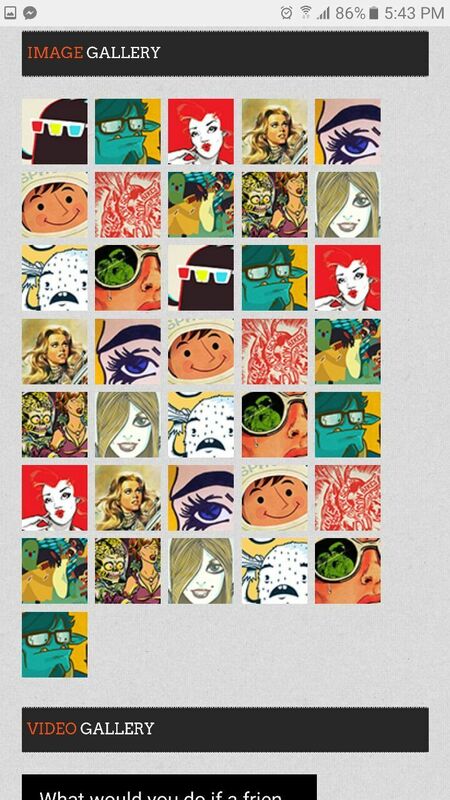 .tel was supposed to be easy. It's not possible to build a proper website without third-party providers. Three credentials are needed (registrar, TelHosting, third-party provider). Confusion for the customer which solution to choose. Most new customers won't be aware about developing.me/.tel. Why do I need a .tel for developing.me/.tel? I can do the same with any domain. 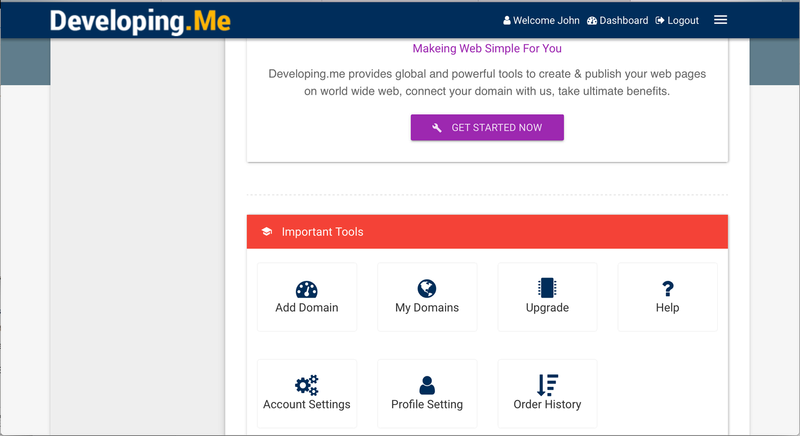 Devoloping.me/.tel stands in competition with hundreds of website builders. I'm happy AND surprised to see such an advanced website for .tel domains for the very first time. This is what was needed when .tel was launched in 2009. In the year 2009 it couldn't be so difficult to realize the same or a similar solution. What has Telnic done all these years? The question now is if it's not too late after so many wasted years. x1y2 wrote: In the year 2009 it couldn't be so difficult to realize the same or a similar solution. Indeed! Developing.me/.tel was developed within one or two months only by how many developers (one or two?)! Telnic was not able to do this within eight years!!!!!!! 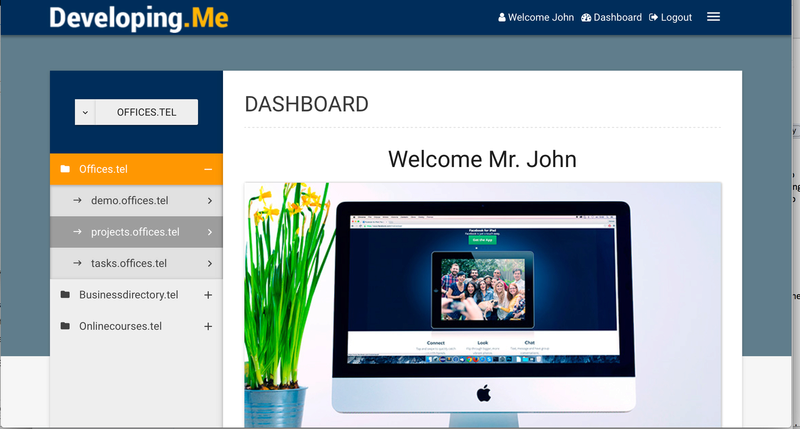 Give the website template from Developing.me to all .tel customers - and .tel will take off! How can such template be enabled for all customers of Telnic automatically? I did think you would build it on .tel...not a me. 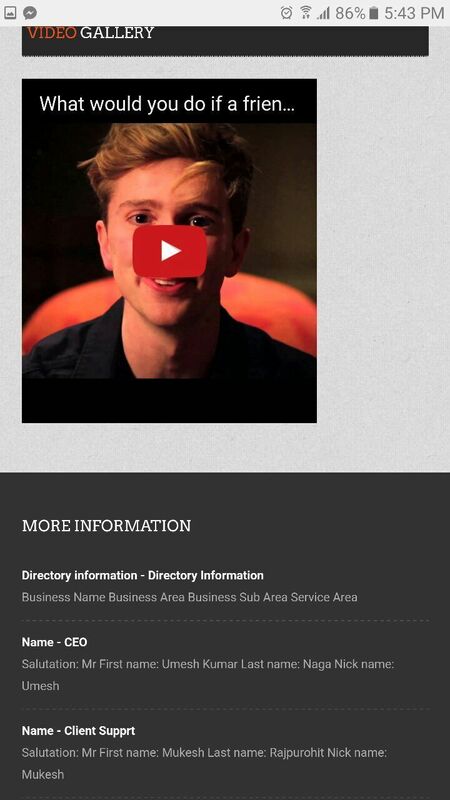 still nice to see my old friend businessdirectory.tel in the picture after it got moved from Telnames. who are the people behind developing.me ? Hello @4444 Thanks for taking time to see it, we are working hard on the development aspect so it is even as robust as it is visually. MWX wrote: This is the best news for .tel I have seen during the last 8 years. Hello @MWX, Thanks for your likeness indeed it is the best news for .tel and me because i own a few .tel domains and i do not wish to let it die and want to keep them continued as it is for me and the fellow members i have known all the way long since 9 years. x1y2 wrote: I'm happy AND surprised to see such an advanced website for .tel domains for the very first time. Hello @x1y2 Thank you for your comment on the above it can only get better with time and your valuable suggestions as we wish to make this a product of the community rather than wait on registrars as a saying goes " start doing things on your own then wait on others to do it for you "
Not sure about telnic but i am happy we have managed to bring out something nice for our self and people we know. It is not late because no domain has value unless you work on it, i hold some of the best .tel and .me domains and i would never wish them to die out this is the reason we are thinking of constantly building. @Moonlight, Thank you for your comment happy to see you like it too. hulltv wrote: I did think you would build it on .tel...not a me. hulltv wrote: who are the people behind developing.me ? .tel is easy it has nothing to be complicated in this scenario, i think providing a nice system for it that can be used to any level is better than just a single page or having to hire a programmer and giving them plenty of money and getting away with noting. 1) the logins can be 2 if you wish unless one wants to confuse them self, we all need to understand time is flying by we need to act then just complain now there are more than 400+ tlds .tel is good if you make it good for your self. 2) Customer chooses which is the best solution for them. 3) Developing.me/tel is not limited to only .tel ( we have recently become registrar of .me ) and we are building our own site builder for it called developing.me and that's why we wanted to use it to support .tel community if no one takes it no issues it will still run fine in the long run but again the priority of the service is for .tel and will continue it. 4) Developing.me is a site builder for it's very own registrar so it has no issues if anyone chooses us or other the main thing is who provides what you need, if you feel we can offer you what you require you choose us other wise you are always free to recommend what is best for everyone. Developing.me was/is being built in less than 2 months but the issue is not how many developers are building it, the issue is how will it be build to compete others since we are going to have active developments it is not we launch and we stop as you need to understand i am the first consumer of this myself so if i feel i need something i am going to implement it same time and before doing it will consult and add more features by putting a poll or asking you guys. ixida wrote: Give the website template from Developing.me to all .tel customers - and .tel will take off! IF things go good, we might apply to be a registrar of .tel and you can all enjoy the benefits of it automatically. di7 wrote: How can such template be enabled for all customers of Telnic automatically? 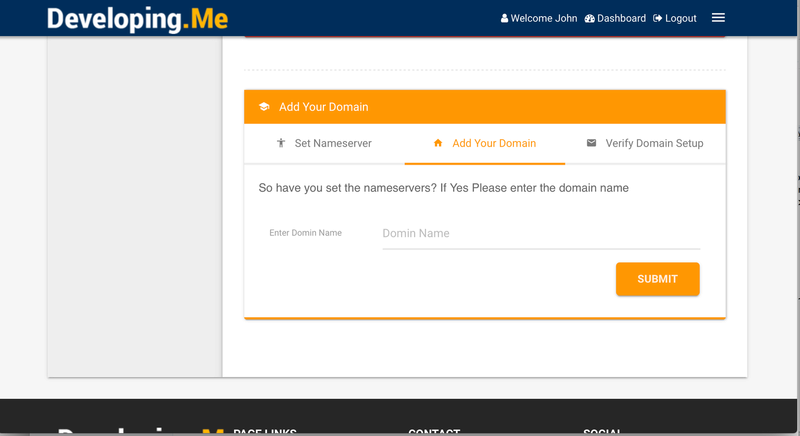 it can't you would need to come to developing.me signup add your domain pay for it and just go to your nameserver and change the nameservers to ours and start using it right away from developing.me as your website will be verified and any feed you give here will be visible on your website. If we would have a service like developing.me a few years earlier, we wouldn't need web hosting for .tel now. When seeing what is possible with .tel, it could be the turning point we all have waited for. At this moment, .tel is in very bad shape. But this could change everything. Have you contacted Telnic to cooperate with them? It would be better for all .tel owners if your solution could be offered to all registrants (instead of the five years old Telnames template)! Unfortunately, Telnic has no development skills. That's why .tel was sleeping for eight years. Maybe, Telnic could pay you for your service. It should be in their interest! I remember a few years back I suggested to Telnic they make Mark Kolb AN OFFER HE COULDN'T REFUSE to buy out his Telmasters tools and incorporate them within the Telnic Control Panel, retaining Mark as a consultant. They just ignored my suggestion, as they have done repeatedly over the years to many other sensible suggestions made by experienced internet marketers and developers ! Since then Telnic has got much smaller - it may be that Kash and Huw Stead are the only 2 left - and Telnic Ltd. were INSOLVENT (as at 31 December 2015) according to the ACCOUNTING definition ! So I think they are probably scrabbling around to find the money for biscuits to go with their coffee, rather than looking to buy out software developments, no matter how attractive. My guess is Telnic are looking for an EXIT STRATEGY pretty damn quick, perhaps soon after the launch of NEW .TEL ? If I was Shahid I would target ALL gTLDs rather than just .TEL once my product was fully developed and tested - there is a massive market for site builders, but also of course massive competition. 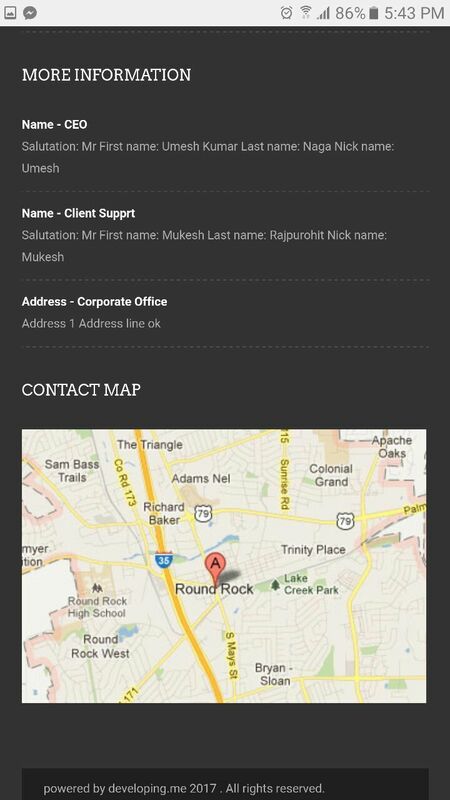 Best of luck Shahid with your nice-looking software project ! mikeseaton wrote: I remember a few years back I suggested to Telnic they make Mark Kolb AN OFFER HE COULDN'T REFUSE to buy out his Telmasters tools and incorporate them within the Telnic Control Panel, retaining Mark as a consultant. Mark's tools have been based on the old, unacceptable TelHosting solution. That wouldn't have brought any benefit. But Shahid has developed a user-friendly and nice-looking solution. That's much better! mikeseaton wrote: If I was Shahid I would target ALL gTLDs rather than just .TEL once my product was fully developed and tested - there is a massive market for site builders, but also of course massive competition. I also agree this this. To target all gTLDs is much better. mikeseaton wrote: My guess is Telnic are looking for an EXIT STRATEGY pretty damn quick, perhaps soon after the launch of NEW .TEL ? I expect the same, but I see nobody crazy enough paying the price desired by Telnic. I cannot open developing_me at my computer. Is it only my problem? Expert, what price they are asking?